My normal blogs are posted on the 6th of the month, every month, with some other ones in between when there is something "special" to write about. This month was different though, how could I publish my blog on the 6th August knowing The fourth Ashes Test at Trent Bridge was just hours away. How could I write about The Ashes so far... When we could potentially win it in the next few days. I decided to leave it, I'd written a fair few things and the blog was almost ready. I left it and decided I'd publish after the test match. I sat back, had my breakfast and made a brew whilst the build up was happening. The toss was taken and Cook won it, he decided to bowl, when Michael Clarke was asked what he would of done, he seemed annoyed and tetchy then snapped back "Well we're batting so it doesn't really matter, we're gonna bat well". That never happened and just two hours later (don't forget the toss was ½ hour before start of play) England were walking out to bat after smashing the Aussies all out for just sixty runs. Rightfully so, Stuart Broad got all the plaudits with his 8 wickets for 15 runs. A devastating spell of bowling and something he's always been capable of. Broad had bowled well all series and we're now use to him having an awesome spell where he gets on a roll, this time though it was frightfully outstanding. I'd like to point out the catching as well though, for me that seems to encapsulate what “new” England have recently become and what they're now all about. Nine catches were taken in that first innings and throughout the whole series, barring one or two England have caught everything. Don't get me wrong, Australia's batting was shocking, for all the joy I had jumping around watching the wickets tumble I couldn't believe how bad they were batting. Going aggressively at nearly every ball, leaving themselves open for nic after nic. 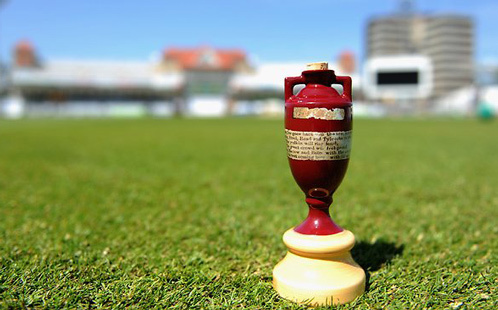 The match was pretty much done and dusted in those first couple of hours, it was just a matter of time until it was finally confirmed that England had regained The Ashes. One Test to go then, before it's onto the ODI's series and I'm off to the fifth and final one at Old Trafford in September. Of course I can't mention The Ashes without mentioning the women's competition, which in nicely poised after three ODI's with Australia leading four points to two. This week is their one and only four day Test Match with four points up for grabs, England really must win otherwise they'll be six point behind with only six to play for in the three T20 games. Good luck girls. The business end of the cricket season with city, town and village teams all closing in on their final games with cup finals and that to come. 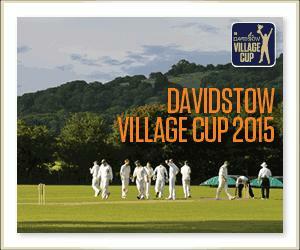 Speaking of which, well done last weekend to both Foxton CC and Woodhouse Grange CC on making it to the Davidstow Village Cup Final, due to be played 11am Sunday 13th September at Lords. The usual suspects in both the County Championship divisions are closing in on their finals games too. With only around three or four games to go now once the T20 and 50 over qualifying games are over. That's it for now, coming next month a look at the outstanding careers of both Kumar Sangakarra and Michael Clarke now they've announced their retirements.